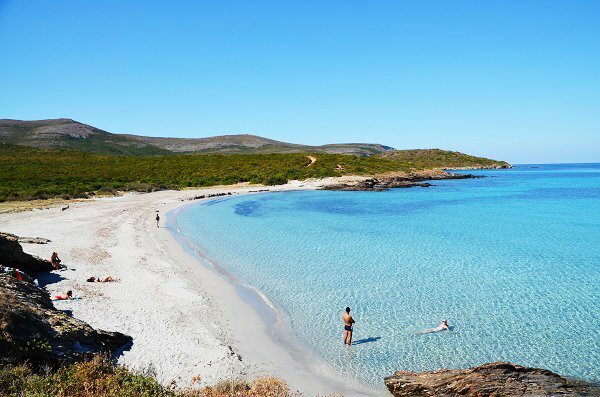 Cala Genovese Beach in Macinaggio is one of the most beautiful sandy beaches in Cap Corse. 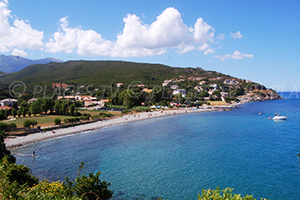 This sandy beach is only accessible by the sentier des Douaniers (or by boat), and is nearly 150 meters. Attendance is quite low even in summer (see our photos taken in August). 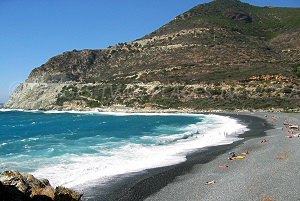 The view on the left shows Punta Vecchia with another wild beach behind (Cala Francese). 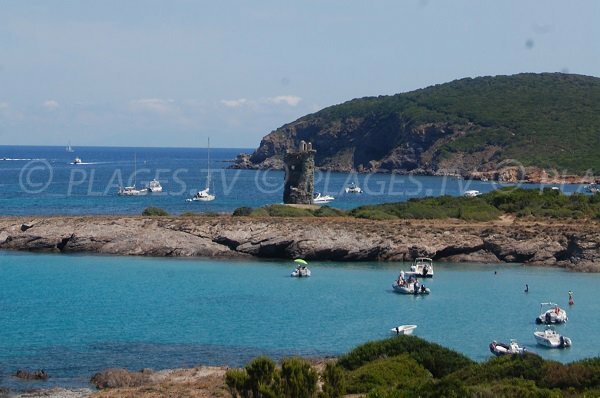 Santa Maria tower on the right brings a certain charm to this little cove. 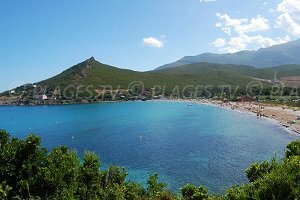 One can only access this beach in Cap Corsica through the sentier des Douaniers. 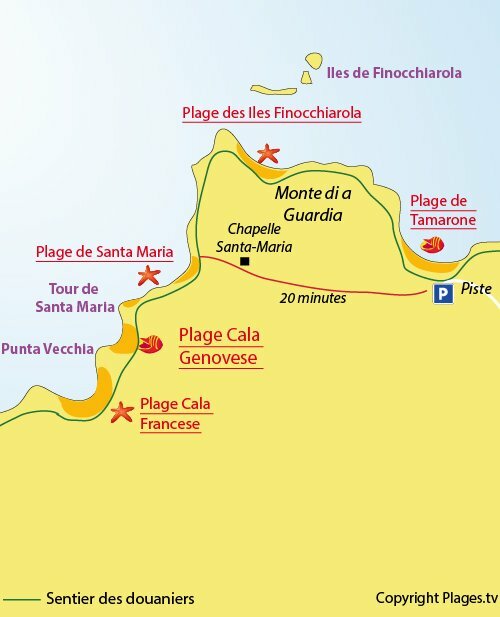 The fastest way is to go to Tamarone Beach (accessible through a track, there is a straw hut). Then there are two trails. It takes about an hour through the coastline path, which is the most enjoyable. 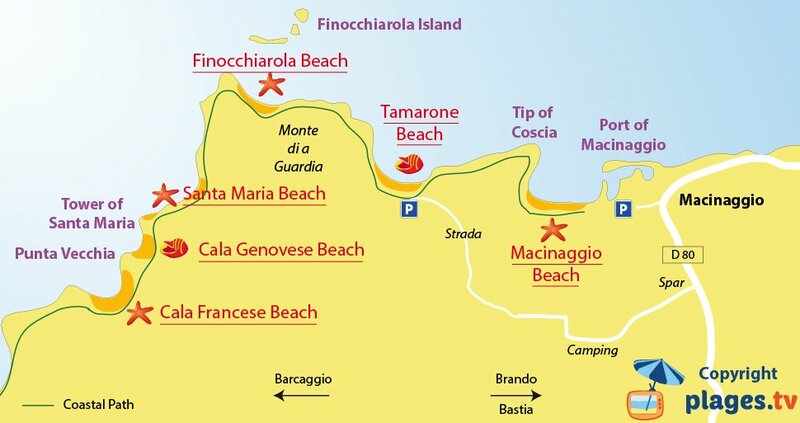 On the road, you will encounter several small beaches, the first one on Finocchiarola Islands and the second one at the Santa Maria tower. Our beach is behind it. One can also cut through the bush at Santa Maria chapel (saving about 20 minutes), a shortcut through Monte di a Guardia. 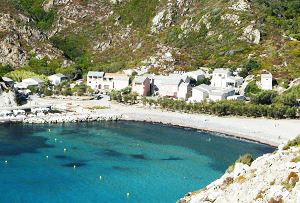 This beautiful cove, with clear water in a totally wild environment, is located from the Santa Maria tower. 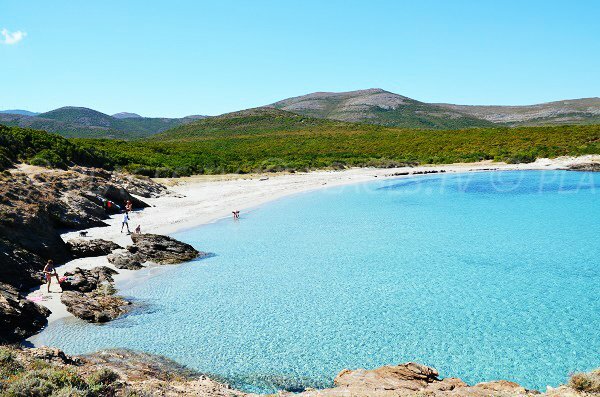 This is one of the most beautiful wild beaches in Corsica. The Genoese tower of Santa Maria is on the left (in ruins). 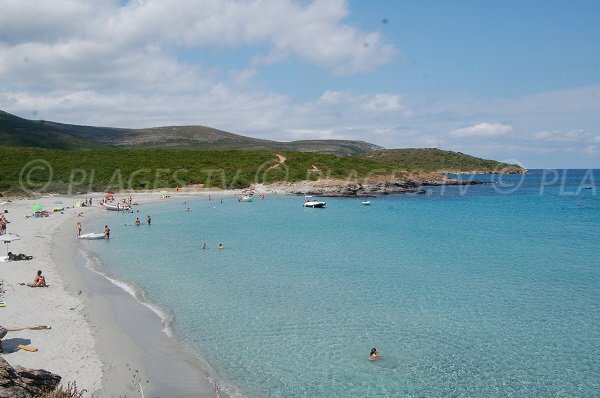 The beautiful sandy beach of Cala Genovese is on the right. 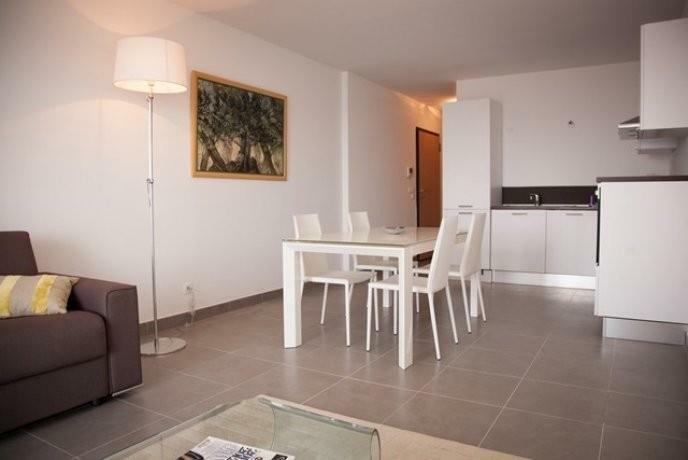 This photo was taken on August 13, pretty quiet for summer. 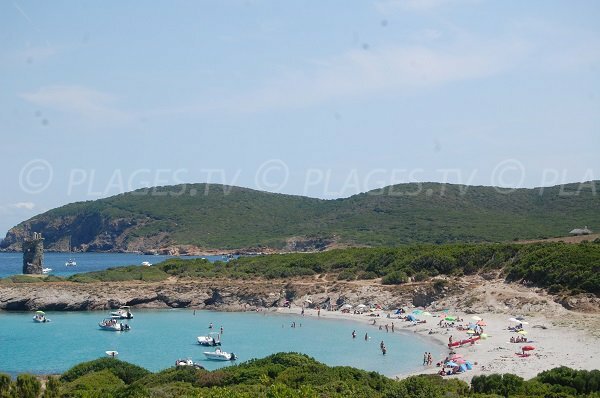 The point on this photo is Punta Vecchia; there is another sandy beach behind (Cala Francese). 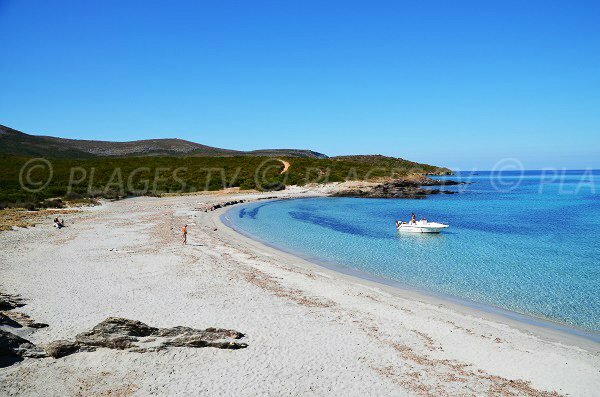 One can reach this beach through the path on the right from Macinaggio harbour (2 hours on foot). 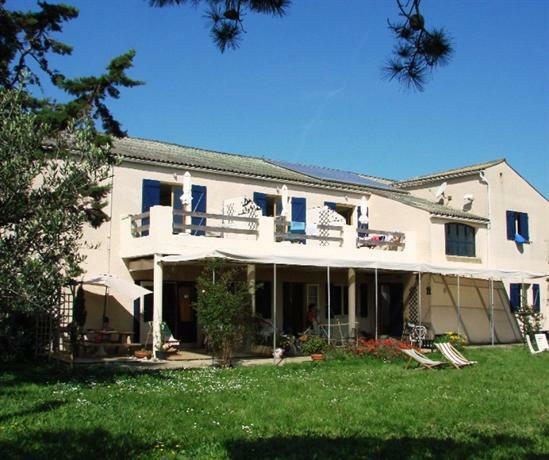 This is an overview of gently sloping swimming. The view of Santa Maria tower from this beach is beautiful. Many boats access this beach by the sea.